• A double-blind, randomized trial of four antimicrobial regimens was conducted in 383 infants and children with acute otitis media. The drugs used were penicillin V, amoxicillin trihydrate, erythromycin estolate, and erythromycin estolate with trisulfapyrimidines. Aspiration of middle ear fluid for culture was done before treatment and repeated during treatment if fluid persisted. Etiologic bacteria were most commonly pneumococci (31%) or Haemophilus sp (22%), and an additional 5% of patients had both organisms. Amoxicillin was the most effective in promoting initial response in pneumococcal infection. 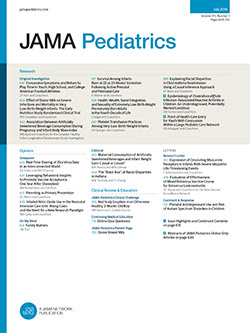 For Haemophilus infections, the cure rates with amoxicillin and the erythromycin-trisulfapyrimidines mixture were significantly better than with the other two regimens, and serous otitis did not occur during the follow-up period; however, new episodes of otitis were comparable in the four groups. Amoxicillin and the erythromycin estolate-trisulfapyrimidines combination appear to be somewhat more effective than penicillin V or erythromycin estolate.